Selma Snub Vs. Eastwood Eclipse -- Who's the Victim of Discrimination? Where's the Clint Eastwood Million Cowboy March on Hollywood? 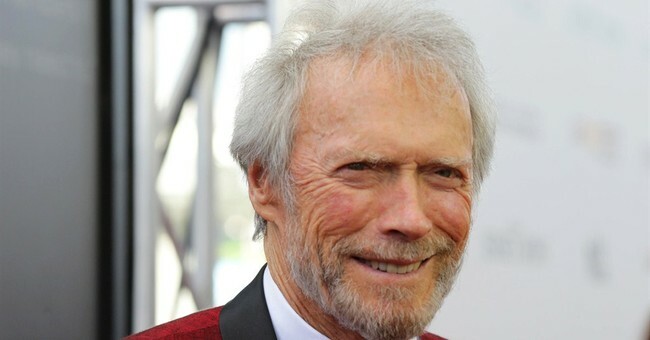 The case for bias against Eastwood is far stronger than that of the alleged "snub" of the movie "Selma." "American Sniper," a new film directed by Clint Eastwood, set box-office records for a film opening in January. Yet he was "shut out" of the director category. Was Clint Eastwood, a white, unabashed George W. Bush-supporting Republican, a victim of political discrimination? The Martin Luther King Jr. biopic received two Oscar nominations, one for "Best Picture." Cause for celebration? No, the Academy of Motion Picture Arts and Sciences "unexpectedly" overlooked the film's director and actors for the other prestigious categories. For the second time since 1998, we are told, the academy named no "nominees of color" in the five important individual categories. We also learned that the 7,000 academy members, according to a 2013 Los Angeles Times report, are 93 percent white and 76 percent male. Obviously, racial insensitivity -- if not racism. Are these the same bigoted folk who last year awarded "12 Years A Slave" best picture, with best supporting actress going to Lupita Nyong'o? And what about the major Oscar nominations for films like "The Help" and other awards garnered by films like "The Butler"? And never mind that the current president of the Academy of Motion Picture Arts and Sciences is a black female. Here's a "Selma Snub" sampling: "Why the Oscars' Omission of 'Selma' Matters" -- The New York Times; "Oscars 2015: Diversity is the Biggest Nomination Snub" -- Los Angeles Times; "'Selma' Snubs Spur Twitter Backlash" -- Chicago Tribune. If Hollywood "snubs" black audiences' preferences, why do black households watch fare produced by Hollywood? A 2013 study by the TV marketing research firm Nielsen found blacks watch 37 percent more television than other demographics. "It's not only that the African-American audience watches more TV, but it's substantially more -- two hours over other groups," said Ron Simon, head curator at The Paley Center for Media. And in 2013, according to the Motion Picture Association of America, blacks -- while 12 percent of the population -- accounted for 13 percent of movie ticket sales. Whites, at 63 percent of population, bought 54 percent of the movie tickets. While we're at it, where's the Asian "outrage"? There are, after all, few A-list Asian actors, and Asians have received fewer Oscar nominations than have blacks. Yet Indian, Filipino, Chinese and Japanese Americans have a higher median household income than Hispanic, black and white households. So much for the relationship between "seeing your own image on screen" and economic success. A more serious controversy of "Selma" is its depiction of President Lyndon B. Johnson. In the film, he's falsely portrayed as an opponent of the Selma march and of the Voting Rights Act of 1965. He tries to get the FBI to discredit King. In reality, Johnson supported King, and J. Edgar Hoover's attempts to destroy King horrified Johnson. Julian Bond, a civil rights activist who worked with King and organized protests in Selma, says the movie got it wrong. Bond said, "I think the movie people wanted Dr. King to have an antagonist." This is not just creative license. It is a major departure from the truth. But back to the "snub" of Selma vs. the "snub" of Eastwood. Hollywood is blatantly anti-Republican, contemptuous of George W. Bush and hostile toward the Iraq War. Of Hollywood's political donations, 86 percent went to Democrats in 2008, and 79 percent in 2012. More than 90 percent of contributions by Hollywood celebrities to the 2012 presidential race went to Obama over Republican opponent Mitt Romney. DreamWorks' Jeffrey Katzenberg raised nearly $6.6 million for Obama's two presidential elections. Many players don't even try to conceal their contempt. Julia Roberts once said, "Republican comes in the dictionary just after 'reptile' and just above 'repugnant.'" For his book, "Primetime Propaganda: The True Hollywood Story of How the Left Took Over Your TV," conservative Ben Shapiro interviewed several Hollywood players. Many readily admitted conservatives are not welcome. They assumed, incorrectly, that Shapiro, a recent Harvard law grad, was one of them -- a lefty who can barely conceal his contempt for the GOP. About television comedy shows, former ABC, CBS, and NBC top exec Fred Silverman said "there's only one perspective, and it's a very progressive perspective." Shapiro said: "Everyone knows that people in Hollywood despise traditional conservatives. They think we're morons, bigots and Neanderthals. Over the course of doing research for this book, I spoke with hundreds of people in Hollywood. Few are conservative; even fewer are openly conservative. There's a reason for that -- Hollywood insiders discriminate on a regular basis against conservatives. Many of them celebrate such discrimination. The same people who talk about tolerance and diversity have no tolerance for ideological diversity." The Rev. Al Sharpton recently met with Sony co-studio head Amy Pascal over her alleged "racially insensitive" emails. Interestingly, after Sharpton's meeting, talk of Pascal losing her job seemed to die down. Maybe the Rev can put in a word for Eastwood.